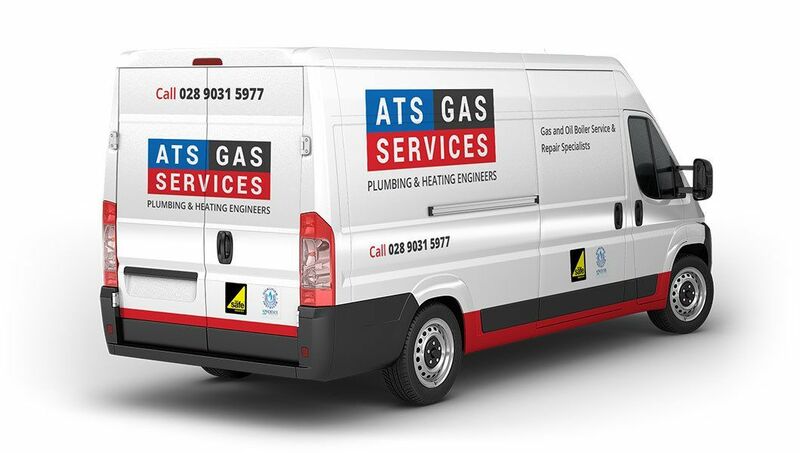 To arrange gas boiler repairs, servicing or replacement of your gas or oil boiler, give ATS Gas Services a call today on 028 90 315 977. Our experienced plumbers understand that unexpected issues with pipes and plumbing need to be handled in a timely manner and done right the first time. Our team is committed to providing quick, efficient plumbing services to Belfast and surrounding areas. If you have noticed any ongoing plumbing issues, would like to upgrade or repair your existing plumbing, or experience an emergency without warning, we are ready to help. With years of first-hand experience and expertise, our team is prepared to get the job done quickly with minimal disruption in your home. Whether you are in need of maintenance work, new installations or face an unfortunate emergency, we can provide reputable plumbers to meet your needs. We pride ourselves on providing excellent customer service, with a friendly team that is ready to help you resolve plumbing issues without losing time. Don’t let that leaky faucet, overflowing toilet, burst pipe or stubborn drain clog be the cause of your stress! We will make sure your home is looked after by a professional, and get work done quickly so you can get back to your daily routine with minimal interruption. Our range of services allows us to provide affordable and accurate solutions for your plumbing needs. Whether you require an emergency plumber as soon as possible, or are looking to upgrade or maintain existing fixtures in the future, the plumbers at ATS Gas are ready to help. With personalized service, quality results and the least amount of inconvenience possible, we can help get your plumbing systems working properly. We offer a wide range of gas boiler repairs and would be delighted to help you with your boiler repairs and boiler servicing requirements. Each of our qualified and experienced Gas Safe Registered gas engineers has the expertise to repair, replace or service any boiler of any type to the highest standard and for the best price. There are no hidden charges, no nasty surprises or exorbitant bills when you come to ATS Gas Services. We simply offer professional and friendly service and advice. Call us today on 028 90 315 977 to book a convenient appointment. We have built up an enviable reputation and this is down to our efficient response times and excellent value for money. We know that you don’t want to be waiting around for a certified gas engineer to call which is why we waste no time in getting to you and ensuring the problem is resolved. Whether your gas boiler is not igniting or your oil boiler needs replacing, we will arrange the necessary work to be carried out at your convenience. We can often offer same day appointments, and thanks to our excellent knowledge of the region we will get to you without delay. Our customers come back to us time and time again as they know we offer the most reliable services in Belfast. Energy efficiency is as important to us as quality boiler repairs and installation. We want you to get the very best value from your boiler year on year. That’s why we offer specialist advice on energy efficiency and how to reduce your carbon footprint. By replacing your boiler you could achieve 90% fuel efficiency and reduce your heating bills significantly. Now that’s really something to smile about! We can repair commercial/industrial and domestic boilers and also offer a regular servicing programme that will keep your boiler in perfect condition. Our boiler replacement service also gives you access to some of the most efficient and affordable boilers in Northern ireland today and we would be delighted to give you advice on the best boiler to choose to suit your needs. Get in touch with our specialists today. Our trained heating engineers and plumbers in Belfast are ready and eager to help you with your plumbing and heating needs. Call us now on 028 90 315 977 or request a call back using our online form.